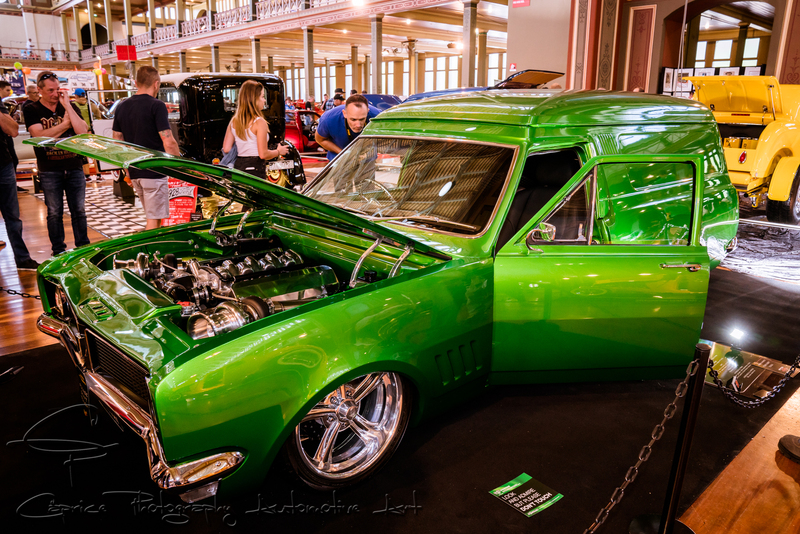 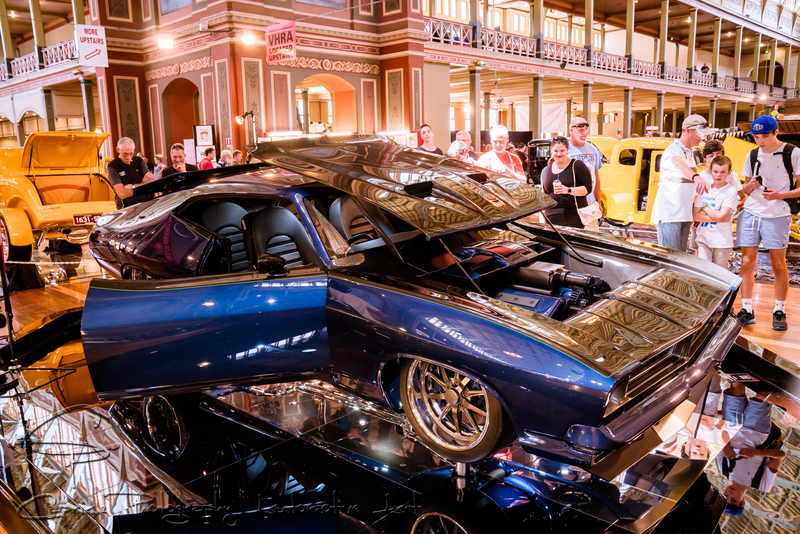 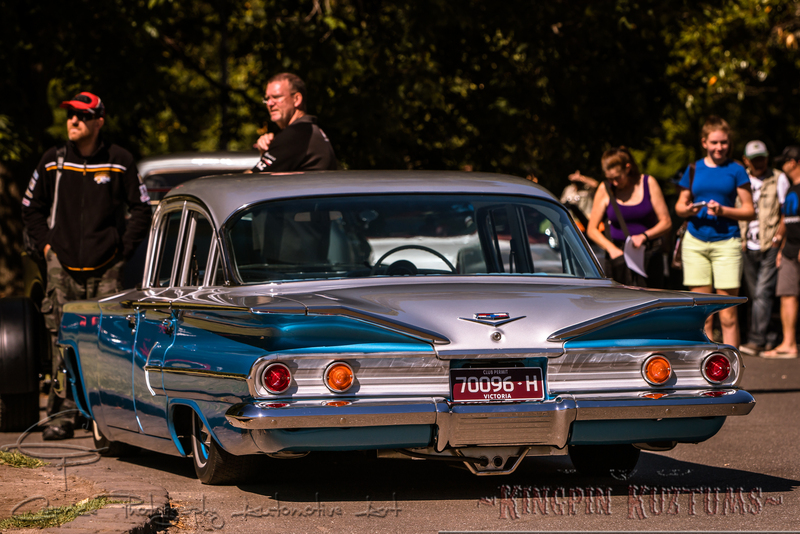 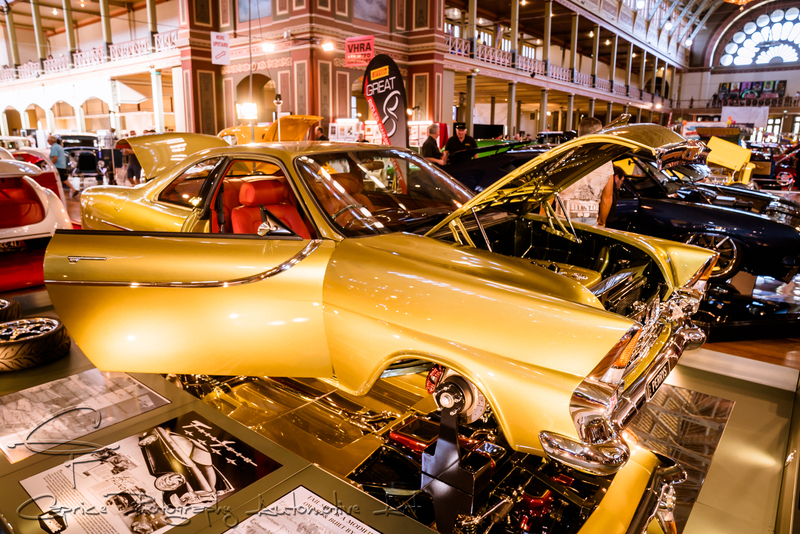 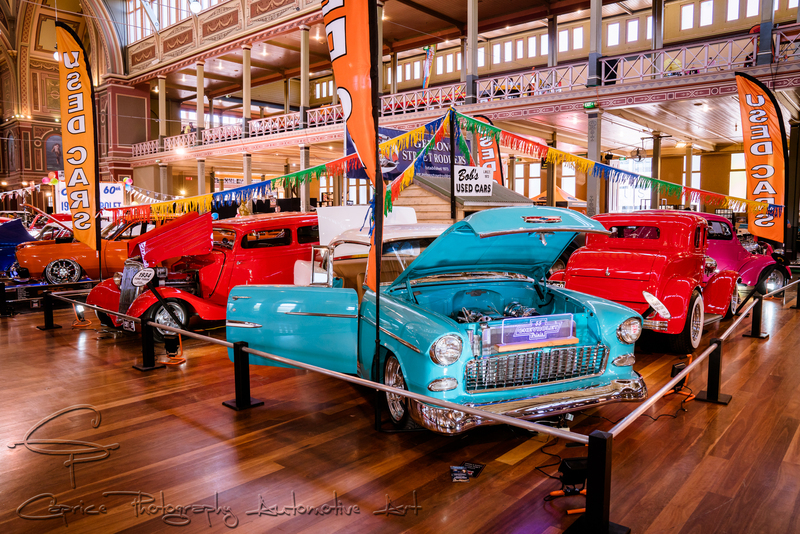 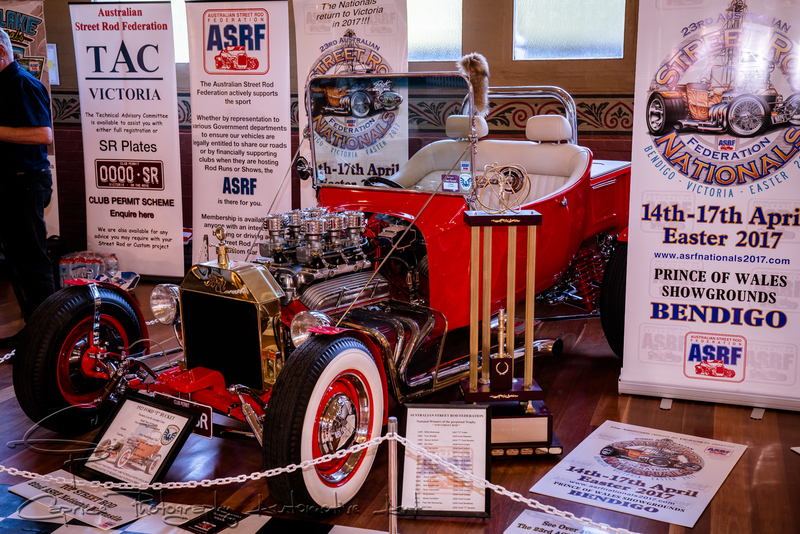 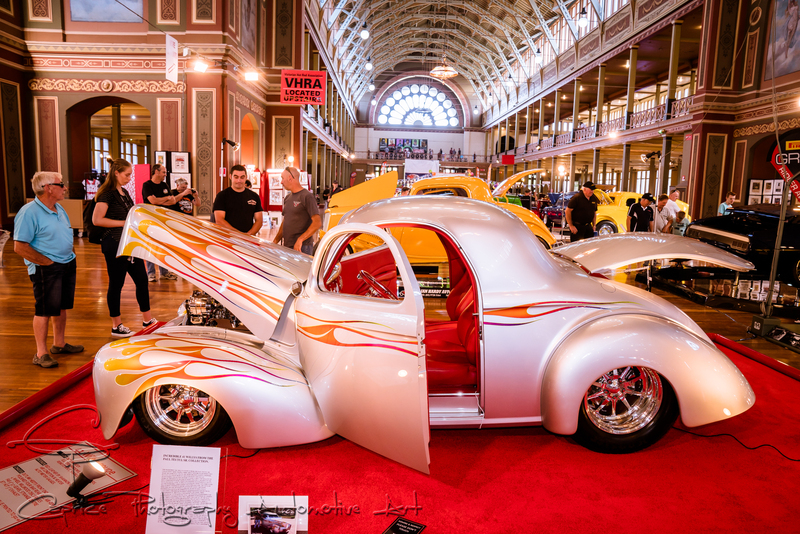 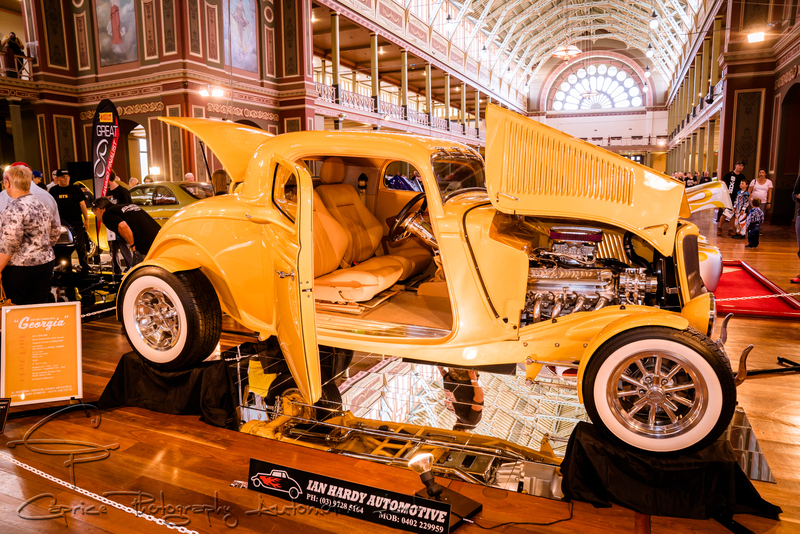 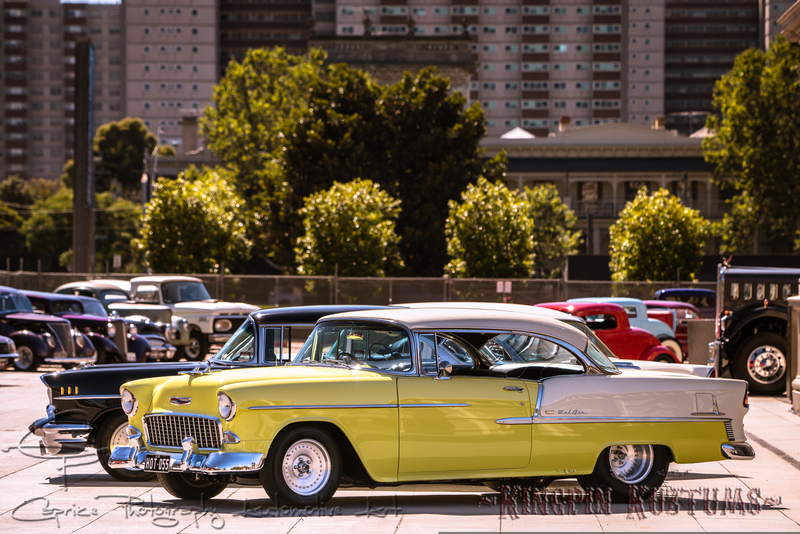 Sunny Melbourne weather greeted eager automotive enthusiasts and curious general public as they entered the esteemed Royal Exhibition Building grounds for the 52nd running of the Victorian Hot Rod & Cool Rides show organised annually by the long established VHRA committee. 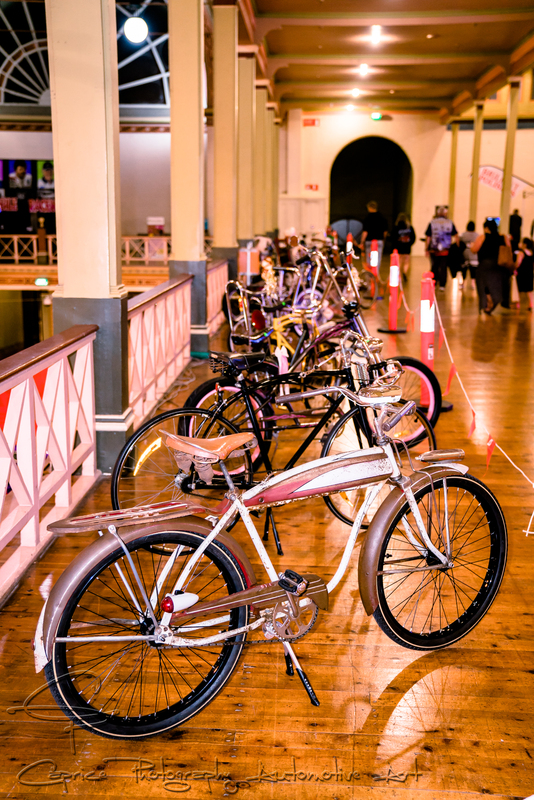 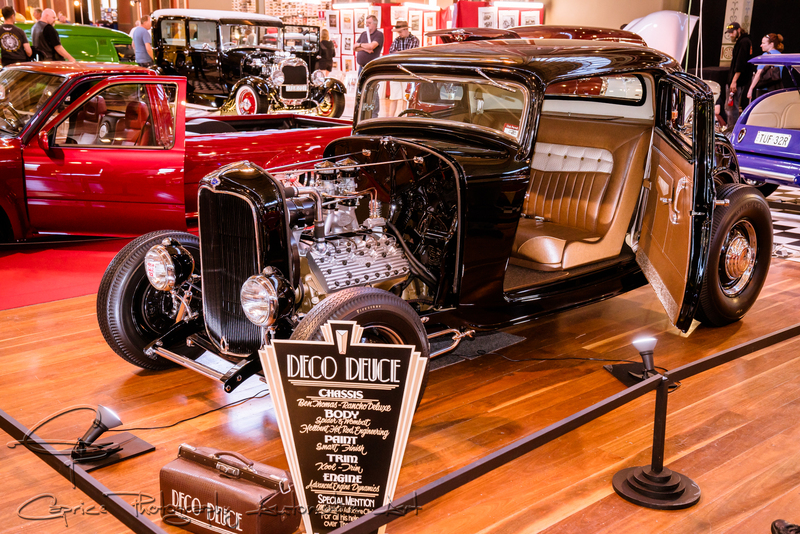 Entering the hallowed halls of the historic establishment, attendees were visually entertained by the colour and pizzazz that one can expect to see when the convergence of both local and interstate elite rods and rides are brought together under one highly decorated roof! 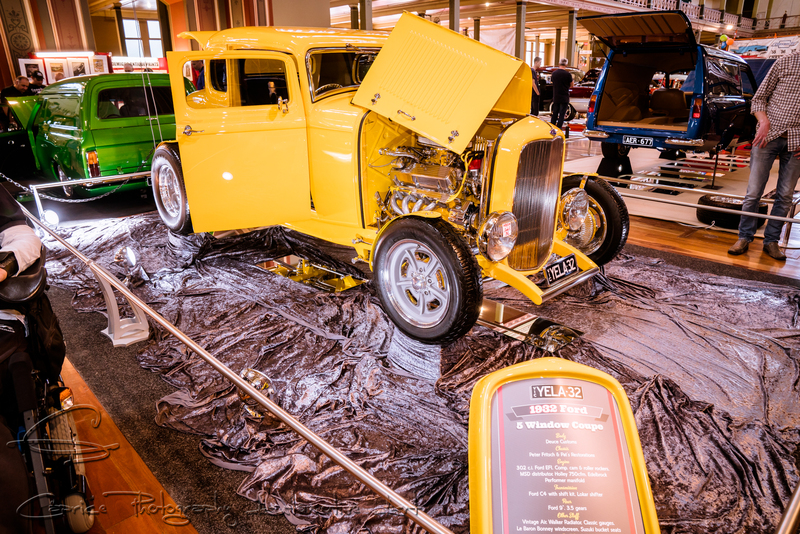 Lining the front row was a very rare split window combi van flanked by a wild 1940 Willys pickup and an equally wild, ground scraping 1928 Ford Tudor with its highly detailed panel finish! 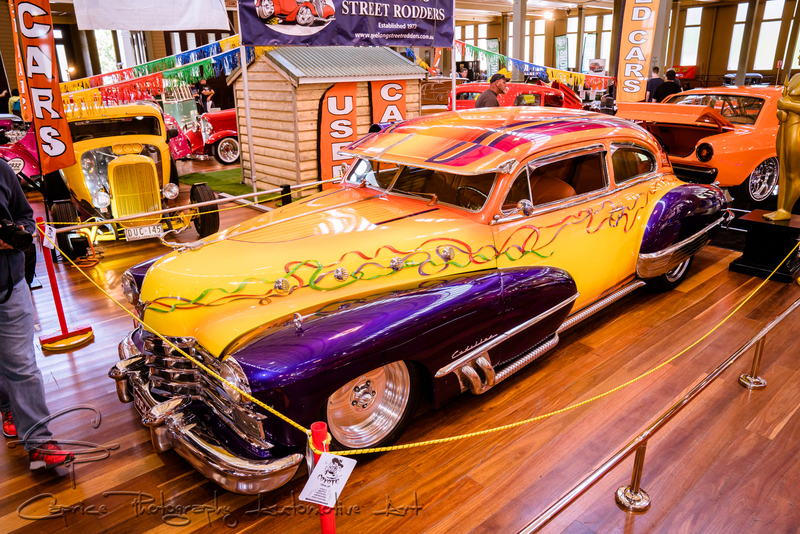 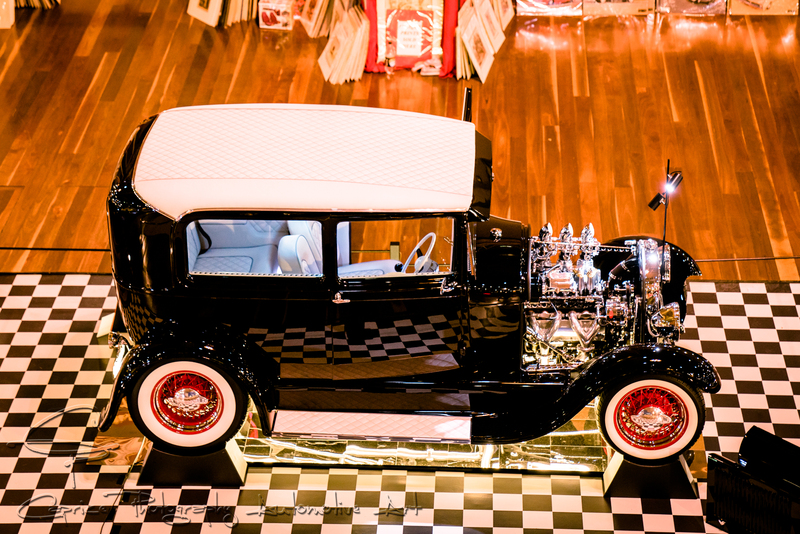 A host of well-known elite show cars including America’s The Riddler top 8 winner, X-Boss and the much talked about Tailspin shared center spot alongside never before displayed radical rods and custom street machines. 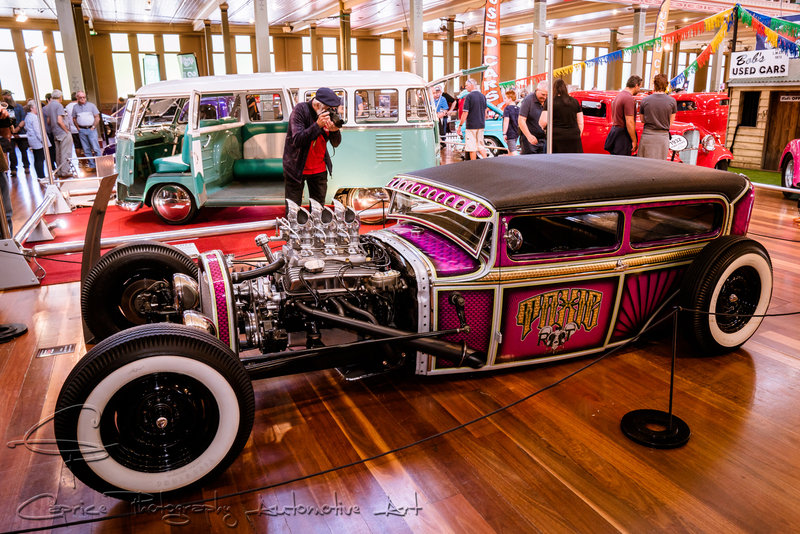 Many local hotrod clubs put on their themed displays of drive ins and garages surrounded by club member cars and fitting paraphernalia. 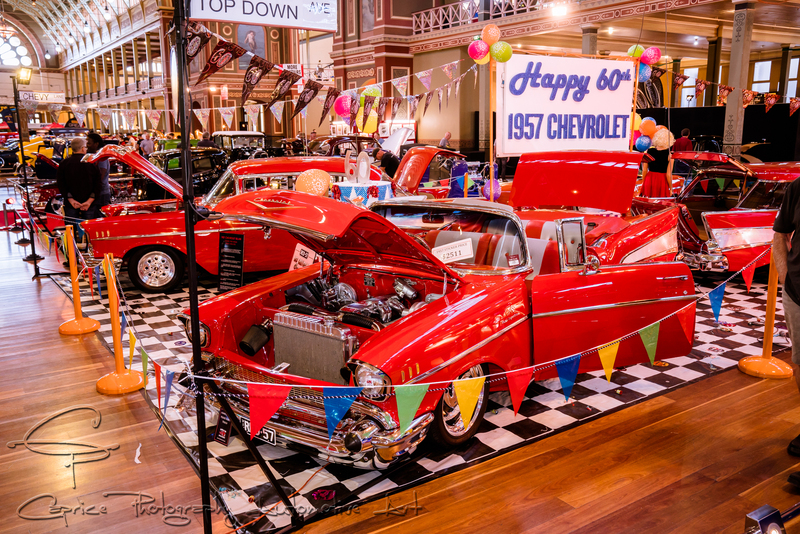 The 5-6-7 club took the opportunity to celebrate the coming of age for the iconic 57 Chevy with a stunning array of the much loved beauty! 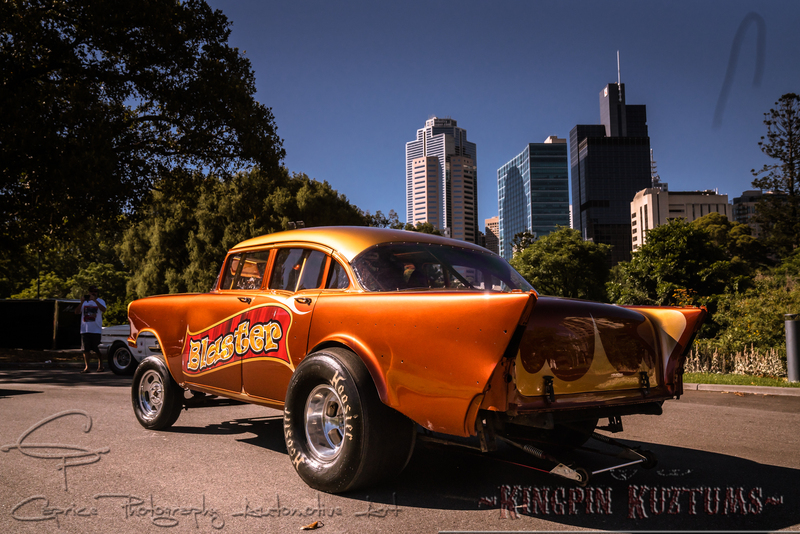 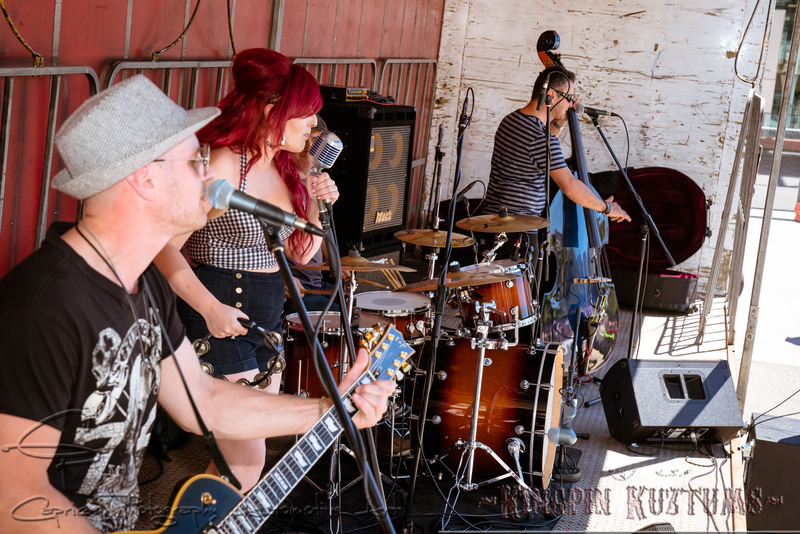 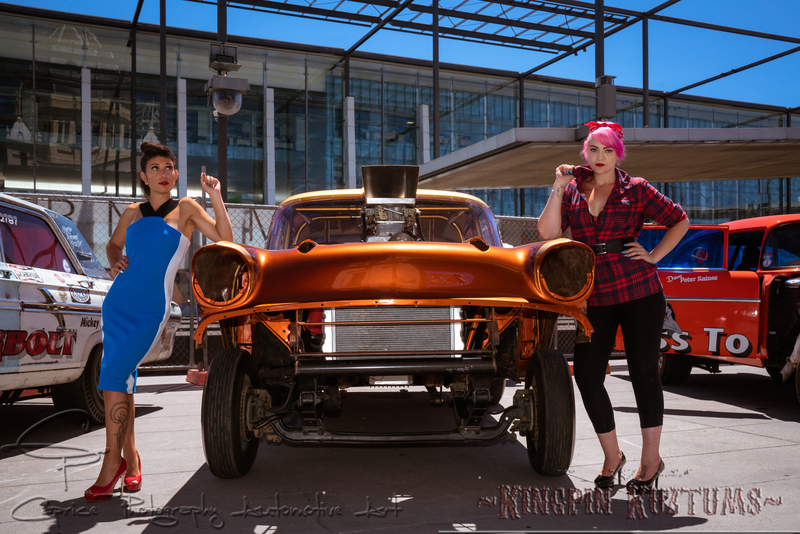 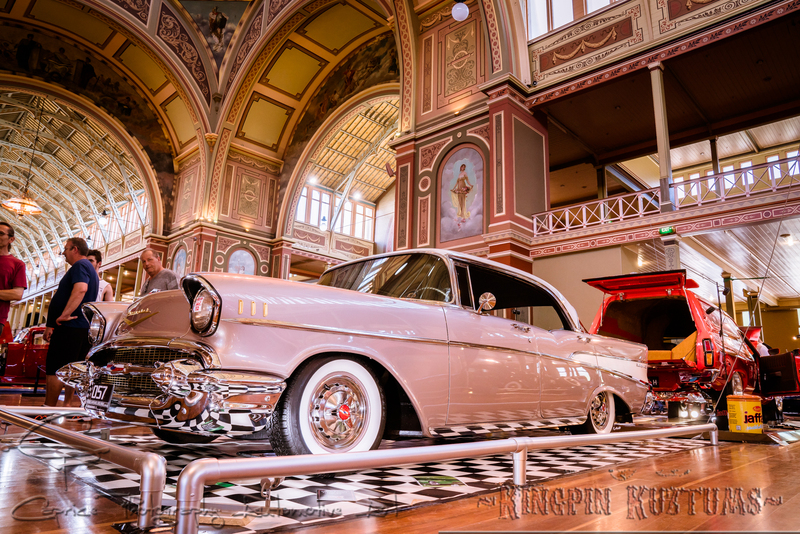 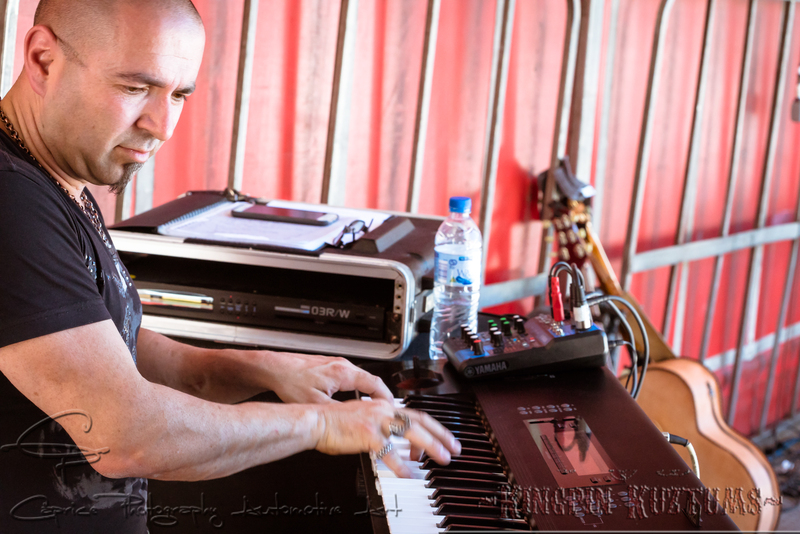 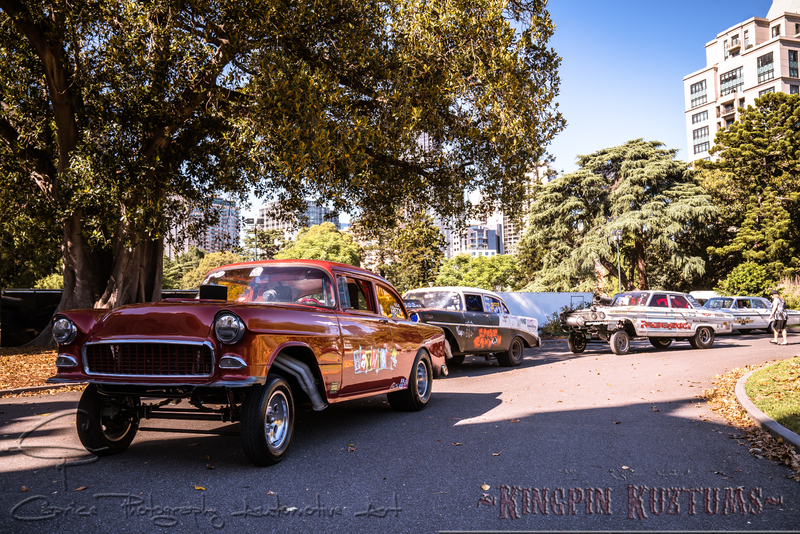 Sunday saw the Kingpin Kuztum crew bring along their own style of carshow party to the venue with an awesome line up of cool rockabilly bands, low brow custom cars, chopped bikes and radical rods as well as six earth shattering, in ya face 1960s born and bred gasser drag cars! 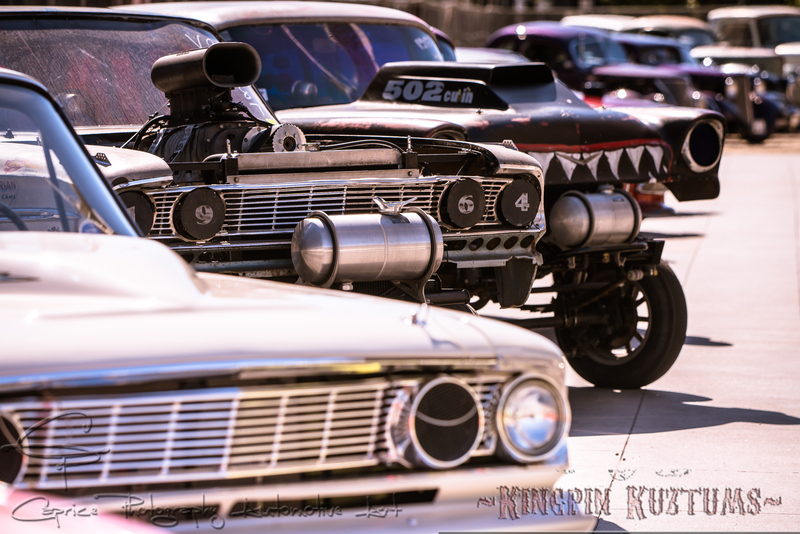 These bad boys turned up the volume throughout the day as they kroozed around the manicured gardens in an earthly rumble of high nosed rolling display showcasing the raw side of radical rides built for a purpose! 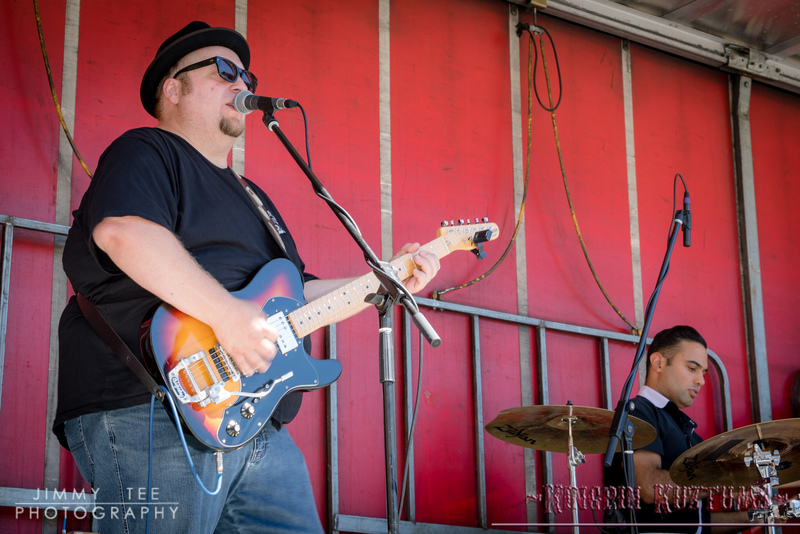 This was all thanks to Rob and his hard working crew which added value to the overall event. 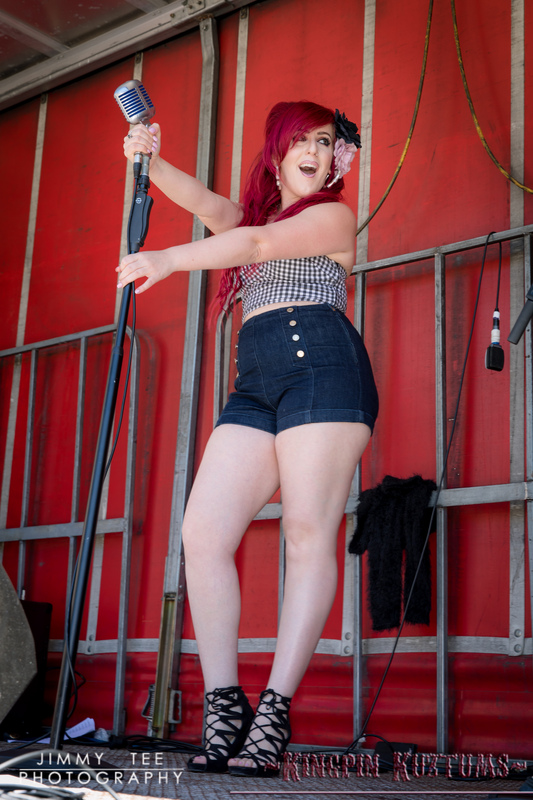 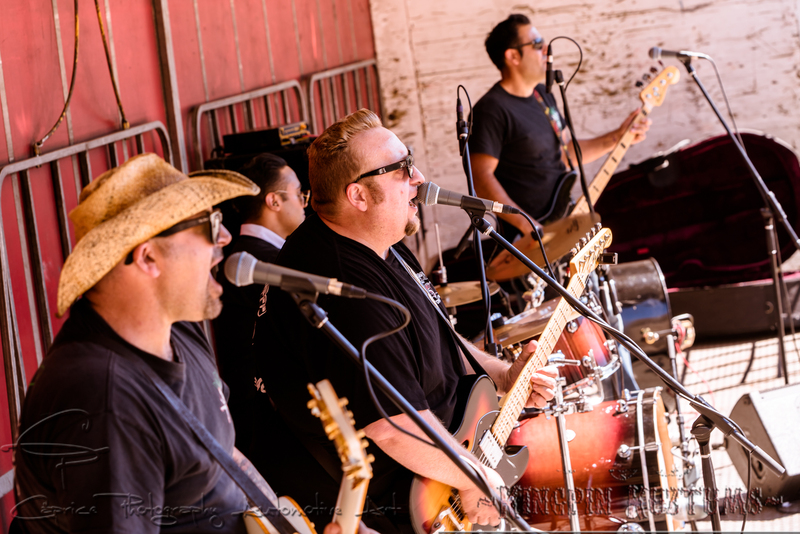 The line up on stage read like a who’s who of the Australian rockabilly scene with Itchy Fingers firing up the dancers while Rosie & The Mighty Kings kept the crowds baying for more! 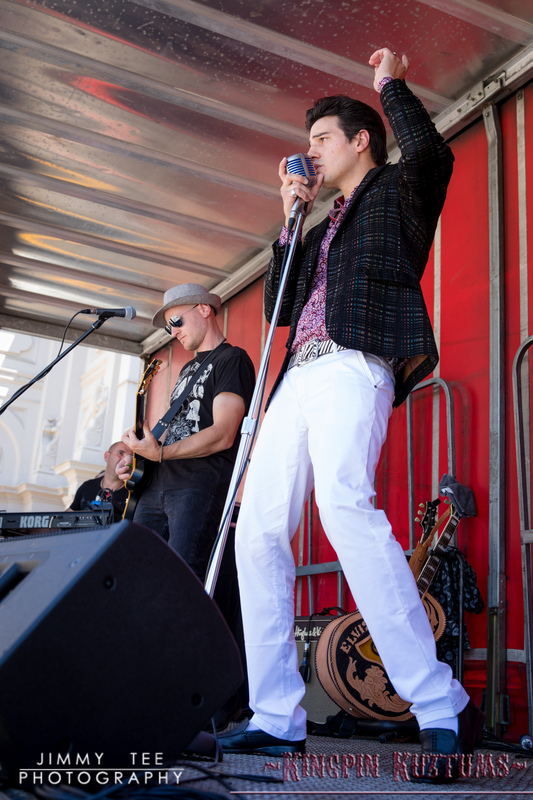 The Elvis show belted out all the classics while Jukebox Racket closed out proceedings! 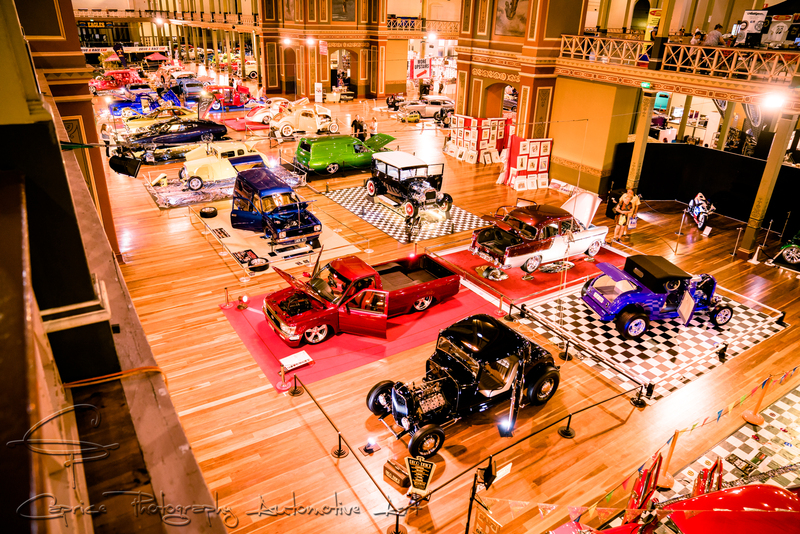 Once again, a big hand must go out to all who are involved in organising such a huge event! 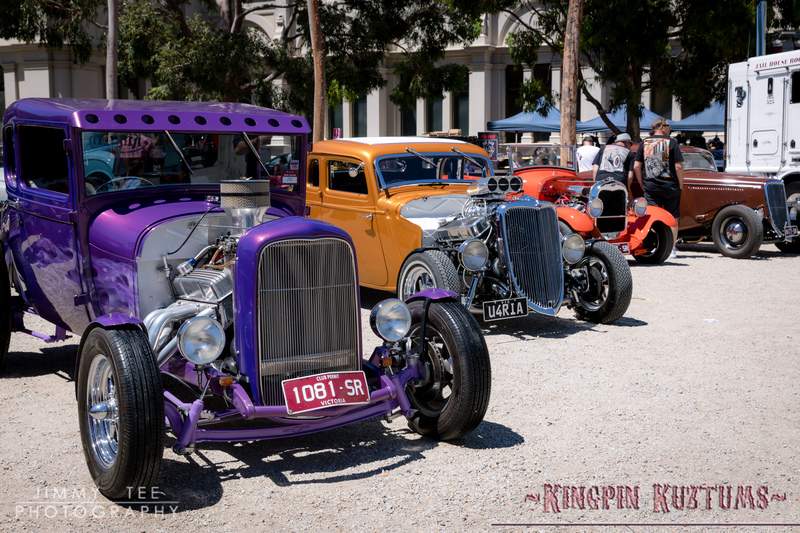 The tireless efforts of the VHRA who spend endless hours leading up to and during the event along with the support shows of the Let’s Go Cruising club and the Kingpin Kuztum crew. 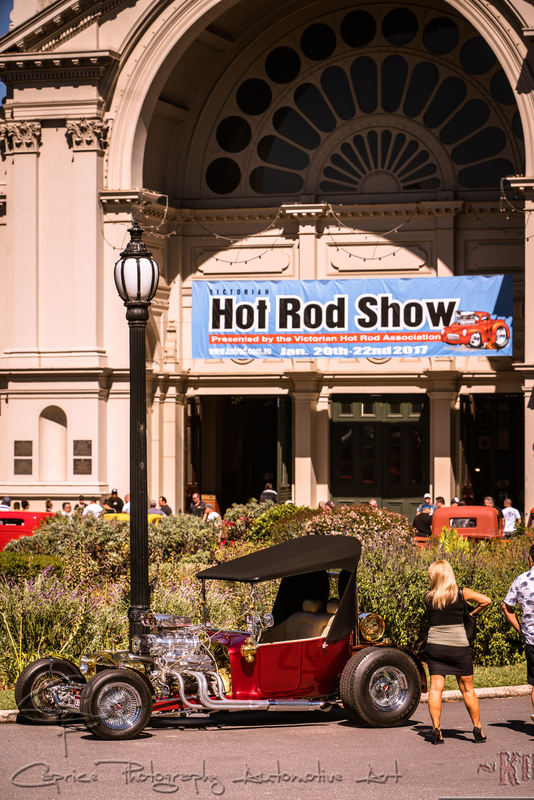 Jump on their Facebook pages and stay up to date for all the action from this show and for the lead up to next year’s big event!